You can put the rumours to rest: Aussie Joe is back and committed to Adelaide for the 2018 season. Josef Rezek has been one of the best forwards in the Australian Ice Hockey League in the last half-decade. Rezek, 27, is ready for his eight season in the league and he keeps getting better. "Not many players can score from anywhere on the ice," says coach Sami Mantere. "He is a real threat every time he is on the ice." Rezek, who will be sponsored by Croudace Constructs, has accumulated 65 goals, 99 assists and 164 points in his 135 AIHL games so far. He came into the league as an import in 2011 but has since gained Australian citizenship. He is currently with the Australian National Team getting ready for his second straight season representing his country. Rezek is expected to be one of he leaders both on and off the ice and is certainly a fan favourite. We sat down with "Aussie Joe" to see how he is feeling about the season. 1) This is your second year now with the National Team. What kind of feelings do you get when you represent the country that you have moved to and called home? I’m very proud to play in the Australian National jersey. Australia is my home. I love it here. I am prepared to do the best for my country. 2) There are lots of younger players announced on this team already. How do you see yourself fitting in on them? I believe the Adrenaline has big potential and I think we will play some very good hockey. Every player who has been picked is a good player and they will have a very good future if they work hard and listen to older players and coaches who want to help them. I think I will fit in the team very well this season because I have a lot of experience and I can help my teammates become better teammates by pushing them to the next level. 3) Last season you had one your best years in terms of points per game. Many players come to Australia and their numbers diminish over the years. Yours have got better. Why do you think this is the case? I think I as you get a little bit older you start to understand how to play in the AIHL. I've learned how to use my skills in this league. 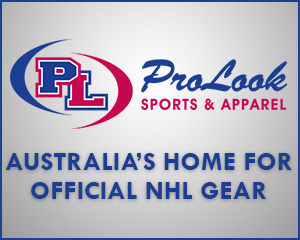 The AIHL gets better every single year and that is what is making me work harder. I am pushing myself to play better hockey. 4) Czech import Ales Kratoska is here for a second season in a row. What can you tell us about Ales and what he is like to play with? Ales is good player, I am very happy he is back. 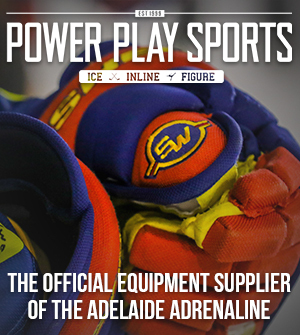 He played a very high level of hockey in the Czech Republic and is a very good player in the Australian Ice Hockey League. He plays a little bit of a different style of hockey than me but that works well. I like to play on a line with him. It's enjoyable. 5) You have done a lot with women's hockey in South Australia. You helped save the Adelaide state team and you and your partner help run the Adelaide Rush in addition to coaching it. The Rush this year made big improvements from the season before. Why do you think that is and how can the Adrenaline learn from this? This is not only me and my partner Nikki's job. We also have Nat and Ed Reynolds who work very, very hard behind the scenes. They do an amazing job. The Rush took a big step forward this season and all the players believe in the program we have set up. I hope we can all keep working hard and keep making steps forward with the Rush. I believe the Adrenaline can learn some things from the Rush, especially the expectations we have in the club for the players. 6) Is there any games marked on your calendar you can't wait to play on? I look forward to every game in a season. If I have to choose one I think it is the AIHL All Stars game. This year it will be my 3rd AIHL All Star Game and it is always a lot of fun. It's great to see the fans and players all enjoy the weekend together. This year it will be even more fun because it is in Adelaide in front of my favourite fans. You can catch Joey when he returns back from National team duties on the first weekend of May! 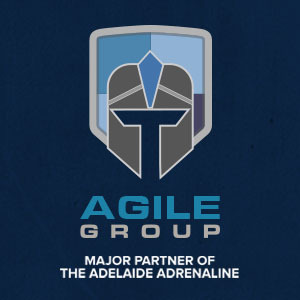 Agile Group announced as new Naming R..